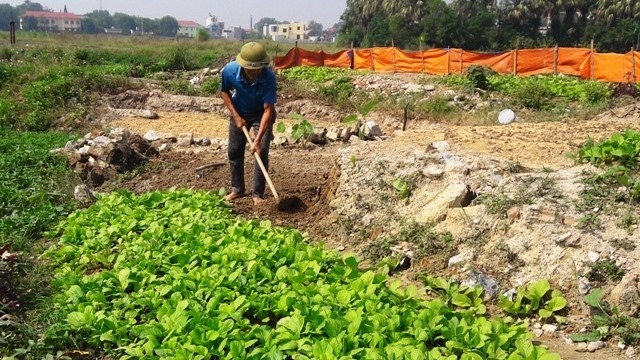 HÀ NỘI — The Vietnamese Government will distribute 1,200 tonnes of seeds for people in areas that were affected by natural disasters this year. Under the decision signed by Deputy Prime Minister Vương Đình Huệ, the Ministry of Agriculture and Rural Development will supply 950 tonnes of rice seeds, 250 tonnes of maize seeds and 20 tonnes of vegetable seeds from the national reserve for Ninh Bình, Thanh Hóa and Hà Tĩnh to support local residents during the winter crop and the 2018-19 winter-spring crop. According to the Central Steering Committee for Natural Disaster Prevention and Control, Việt Nam had endured 14 natural disasters including typhoons, floods and landslides this year. Disasters have left as many as 175 people dead or missing, and injured 105 others. 1,682 houses have been destroyed and over 200,000ha of rice and cash crops have been destroyed, along with 24,000ha of industrial crops and orchards. The losses have been estimated at over VNĐ12 trillion (US$515 million).